New York: Farrar Straus & Giroux, 1971. First edition. Octavo, original cloth. Inscribed by Walker Percy to reviewer Bill Starr. Near fine in an excellent near fine dust jacket. "A comedy of love against a field of anarchy...Percy is easily one of the finest writers we have" (New York Times Book Review). New York: Alfred A. Knopf, 1961. First edition of the author’s first book and winner of the 1962 National Book Award. Octavo, original half cloth. Signed by Walker Percy on the title page. Fine in an excellent dust jacket with only light wear to the spine crown. Jacket design by Paul Bacon. Also includes a handwritten letter from Percy on his letterhead to reviewer Bill Starr, thanking him for his “generous review” with the original envelope in Percy’s hand. Housed in a custom half morocco clamshell box. Lost in the the Cosmos: The Last Self-Help Book. New York: Farrar, Straus & Giroux, 1983. First edition of this “original and imaginative work” (The Wall Stree Journal). Octavo, original half cloth. 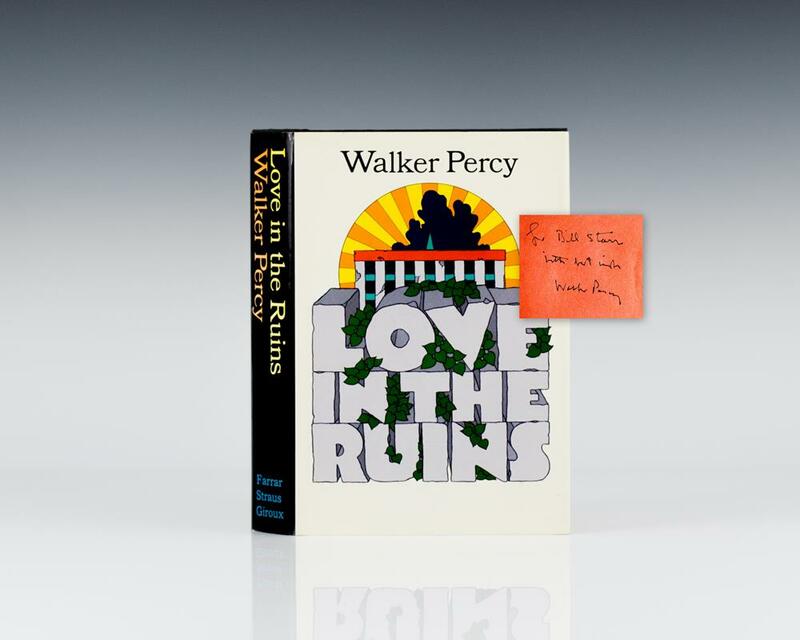 Boldly signed by Walker Percy on the title page. Fine in a fine dust jacket. Jacket design by Sigrid Spaeth.